Pairing socks with shoes can be tricky business, especially if you don’t regularly wear dress shoes in today’s increasingly casual workplace dress environments. Here are some best practices for wearing socks with brown dress shoes. A general rule of thumb is that your sock color should match your pant color. For example, if you are wearing navy pants, you should wear navy socks. Black pants warrant black socks. Gray pants are a bit trickier, but you should wear socks that are gray or a darker shade than the gray you are wearing. If you are at a wedding or other uplifting, party type event, its ok to wear colorful socks with brown shoes. Colorful socks can really make your outfit “pop”, but be mindful of the rest of your outfit and make sure you don’t go overboard with too much color across your socks, belt, tie, and shirt. 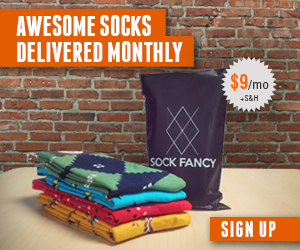 Looking for a great online sock store to find socks to pair with brown shoes? Try out Ozone Socks!